We've been upgrading, doing renovations and been a bit busy getting a new roof up. The old roof, UAC shingles had become brittle and developed leaks after just 11 years. The new roof is done with clay tiles from Batu Pahat and they guarantee them for life; so it should last a while and keep the place cool during the day. As a result of these renovations we had to close the Inn temporarily. We expect to reopen in time for Christmas Holidays and are looking forward to having our regulars once again. All our rooms are now air-conditioned except the one with large deck facing the sea. 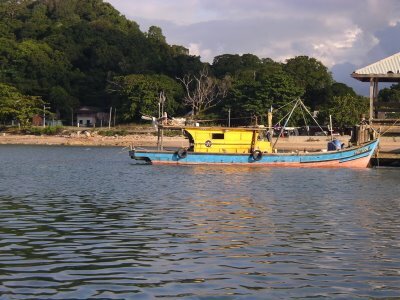 Teluk Iskandar Inn has a fiberglass row boat, but its always been a bit heavy to maneuver. Being heavy, its quite a chore to lift to the beach for exploring the beautiful coves around the inn. Although a few of the more adventurous guests have tried it out. So when Shahril heard about an inflatable kayak, he jumped at it. It can be found at Corezone in Kuala Lumpur or at Amazon. 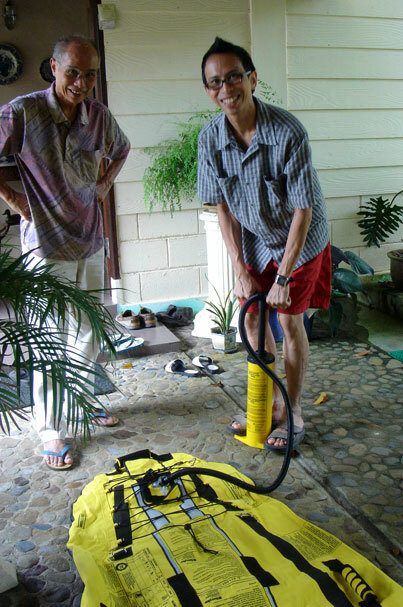 Pump and paddles were not included but can be bought at either store or any other kayaking outlet. The Sevylor kayak is inflatable, fits in the trunk of a car and can be set up in about 30 minutes. It's quite easy to maneuver and handles the waves rather well. 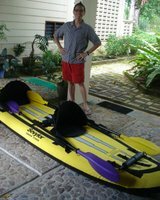 The kayak is not for guests but may give you an idea of possible activities to do in Mersing. The kayak has been taken out by Shahril and Teresa a few times, the longest trip so far has been about 4km's along the coast. From the sea, in a kayak you get a whole new perspective on this wonderful place, its interesting coastline and a chance to view sea otters, flying fish and all types of water birds. Gucharan delivers a quart of fresh milk to Teluk Iskandar Inn on a daily basis. A few times a week we also get yogurt. The milk is non pasteurized, and is wonderful tasting. Teresa decided to make butter from a simple butter recipe she found off the Internet. The recipe involves skimming cream after it floats to the top of the raw milk. This process of skimming cream took about a week because you can only get a few teaspoons of cream from each quart of milk. The cream was collected in a jar, and the jar was shaken until butter formed. The butter was washed and salted. Here is a picture of Teresa with Kamariah and the finished product. Kal assisted with washing the butter and shaking the cream. Shahril made toast so we could all enjoy the butter. It's mango season at Teluk Iskandar Inn. The mangos are small, but they are sweet and tart. Most guests pick them up from the ground after they've fallen. We have two large mango trees in the backyard facing the sea. 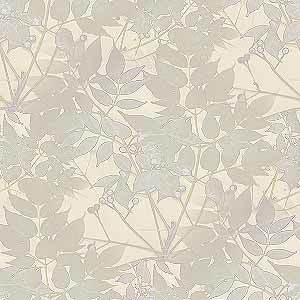 When away from home, its difficult to find your own space. 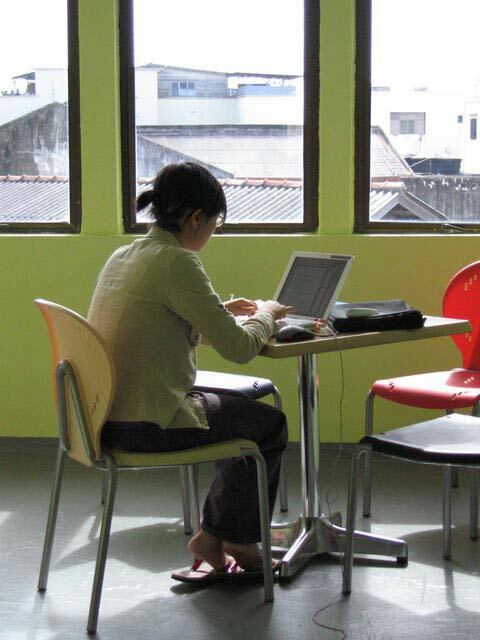 For visitors that need a quiet place to work, WiredSpot Beach Office Suites is a shared office facility available for long term or short term rental. The space offers wireless access, air conditioning, secure office space, and is located above a lively coffee shop in the heart of town. Facilities include a conference room, clean restrooms, and a kitchenette. - All rates include desk space, and secured storage space. - WiredSpot Beach Office Suites is a non-smoking facility. For additional information, please call +6 019 704 8624. 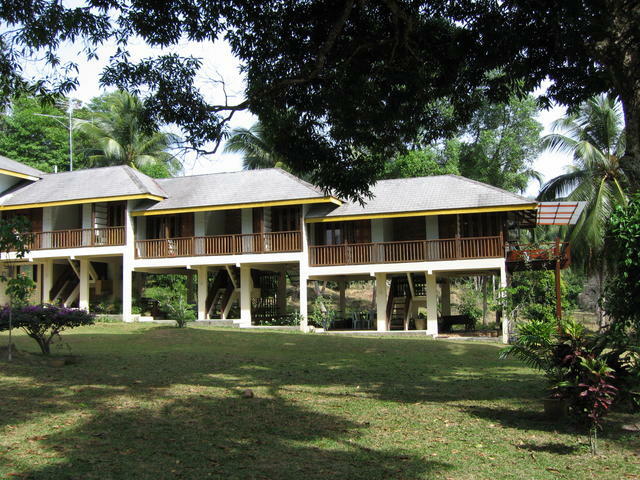 Teluk Iskandar Inn can be booked for special events catering small groups. We have hosted several reunions and family get-togethers. The beach is merely steps away from the inn. Discover the tide pools that are teeming with life. Go gold panning on the beach! 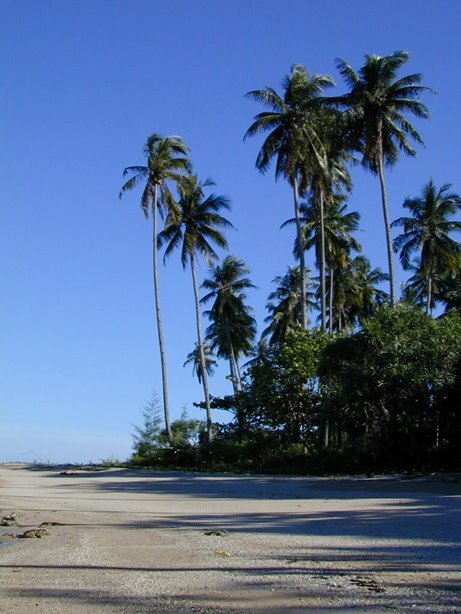 A sandy beach for swimming is within walking distance. 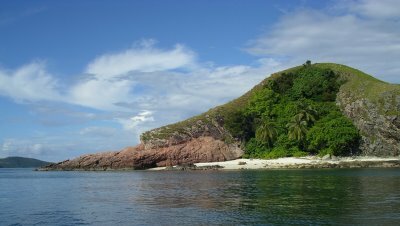 Mersing is considered the gateway to some of the most beautiful islands off peninsular Malaysia. The Mersing jetty is a short drive away, and provides access to the various islands off the coast of Mersing: Tioman, Rawa, Sibu, Aur, Pemanggil. 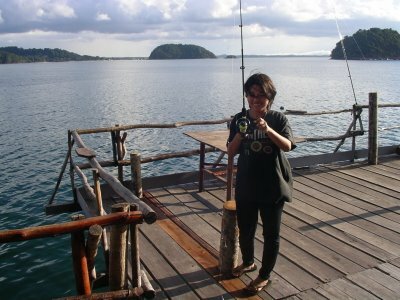 We have organized in the past, fishing trips, jungle hikes, and day trips to the islands. There is a great satay place down the street from Teluk Iskandar Inn. 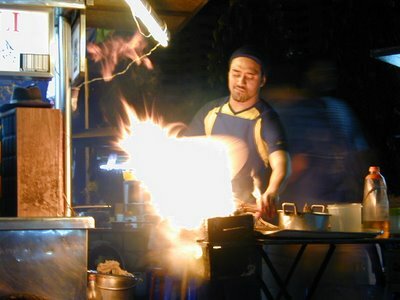 Satay consists of pieces of meat on bamboo or coconut leaf spine skewers, which are grilled over a wood or charcoal fire. 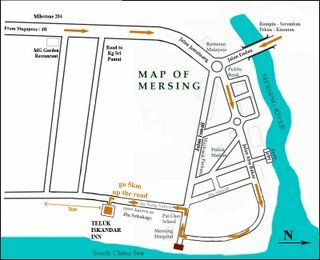 Mersing is only a short drive away from Teluk Iskandar Inn. A variety of shops and restaurants are available in town. Teluk Iskandar Inn can be booked for special events catering small groups. We have hosted several reunions and family gettogethers. The beach is merely steps away from the inn. Discover the tide pools that are teeming with life. A sandy beach for swimming is within walking distance. 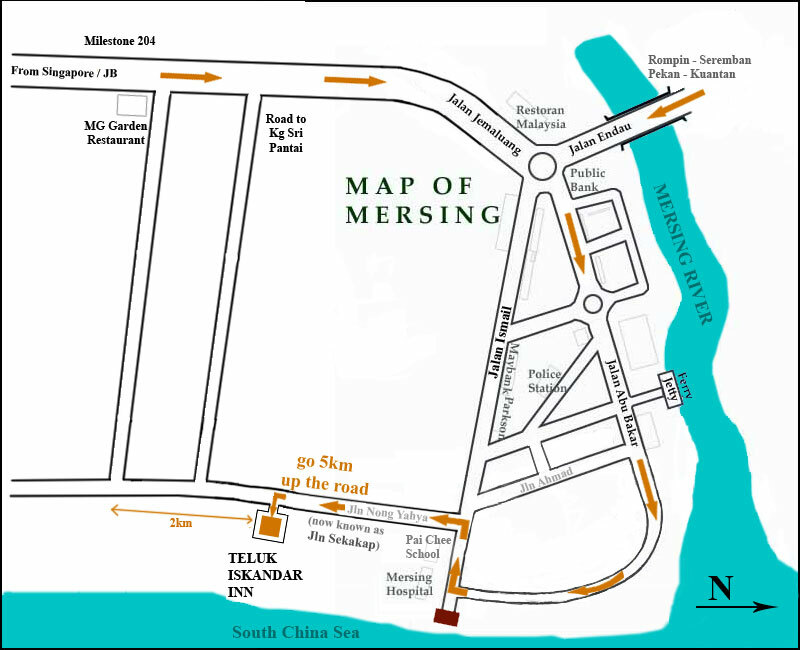 Mersing is the closest town to Teluk Iskandar Inn. A variety of shops and restaurants are available in town. 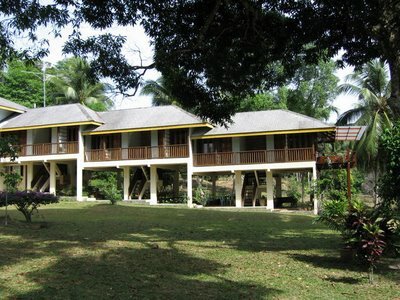 Each room at Teluk Iskandar Inn is uniquely decorated and has a balcony with views of the garden and the sea. Rooms #1-5 have balconies facing the garden, though the sea is visible from the balcony. Room #6 and the Annex each have a private veranda facing the sea. Naturally ventilated, all rooms are equipped with ceiling fans and air conditioning. All rooms have attached private bathrooms. The view from room #5 faces the garden. Garden view rooms have air conditioning. Sea view rooms have an additional private veranda facing the sea. - All room rates are quoted as daily rates for double occupancy, with maximum occupancy of three adults. 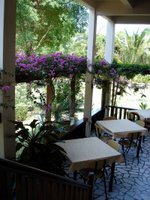 - Each room is equipped with either a double bed, or two single beds. - Extra beds are available upon request, though a surcharge will apply (RM10 per child, RM20 per adult). - All room rates include a complimentary breakfast. - Wireless access in public areas. - All rooms are non-smoking. - Checkout time at 1pm. - Rooms are held until 6pm, thereafter rooms are rented out on a first come, first served basis. 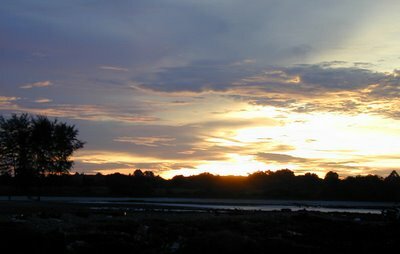 Here goes, the panorama shots converted into 600 x 90 sizes. The architecture of Teluk Iskandar Inn blurs the distinction between indoors and outdoors, maximizing interaction with nature. 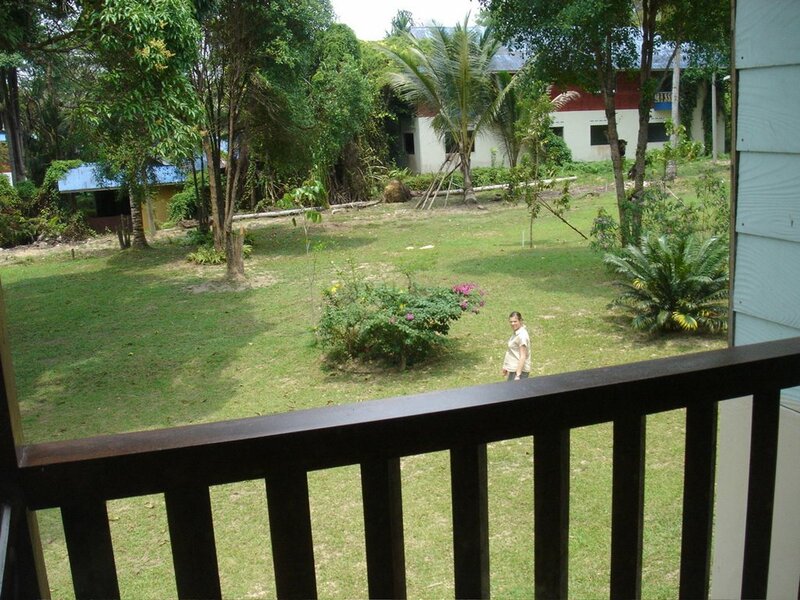 The seven rooms extend into the garden, and shared public areas are open concept and naturally ventilated. All guest rooms are non-smoking. Wireless access is available in most shared public areas. 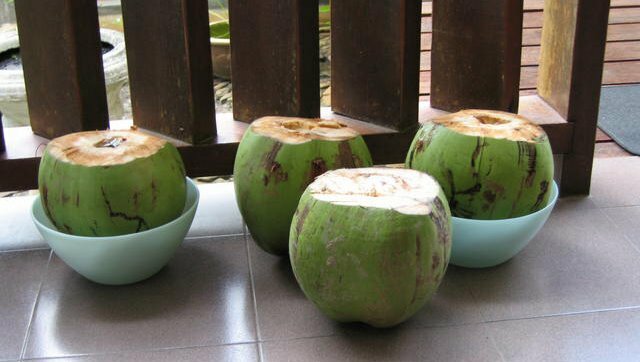 During your stay at Teluk Iskandar Inn, nature will engage your senses. 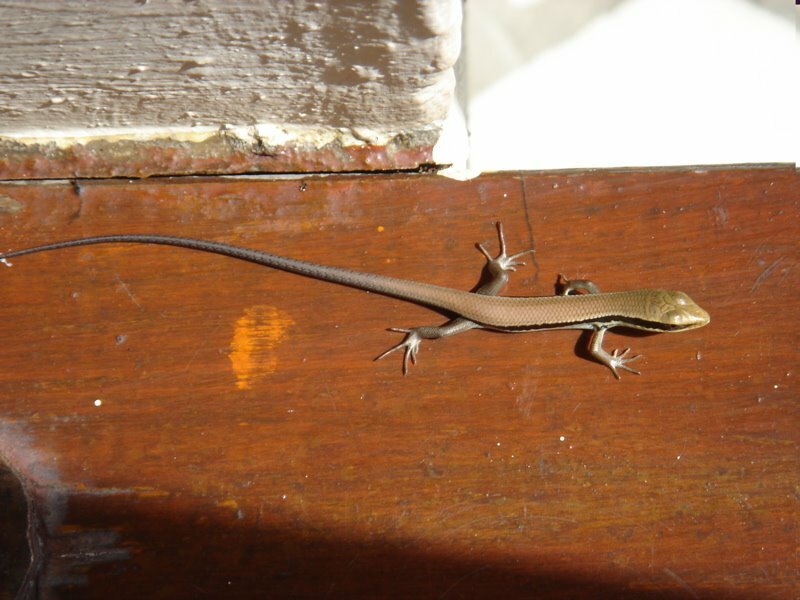 From each of the rooms, you will have full view and access to the garden, which is teeming with life. 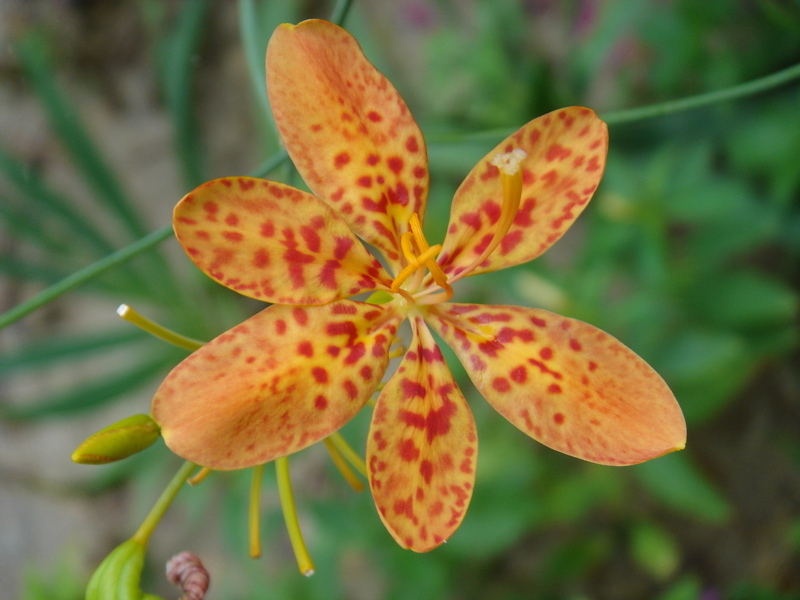 The garden is host to tropical flora, such as Bougainvillea, mango trees, and coconut trees. If you're here at the right time you can eat the mangos too! During the day, you may see monkeys, hornbills, squirrels, and even monitor lizards roaming the garden. At night, fall asleep to the sound of croaking frogs and cicadas. 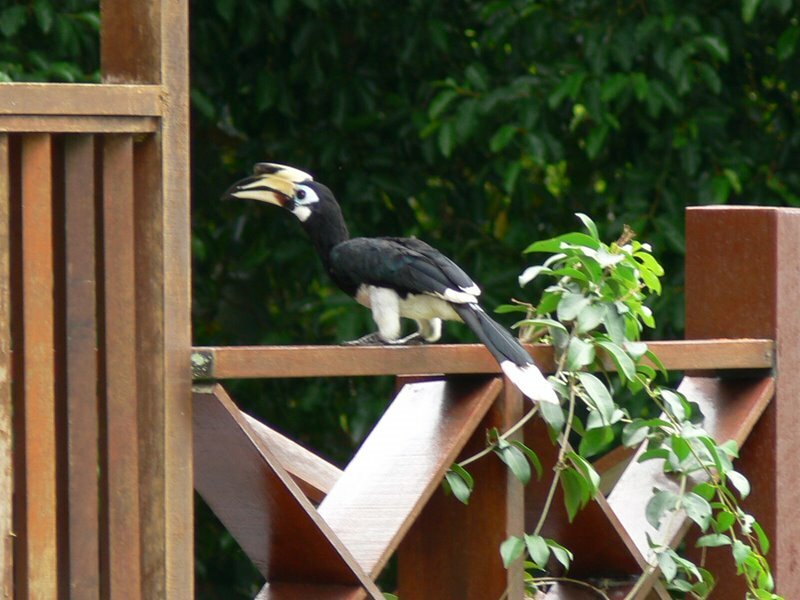 Wake up to wild bird calls. 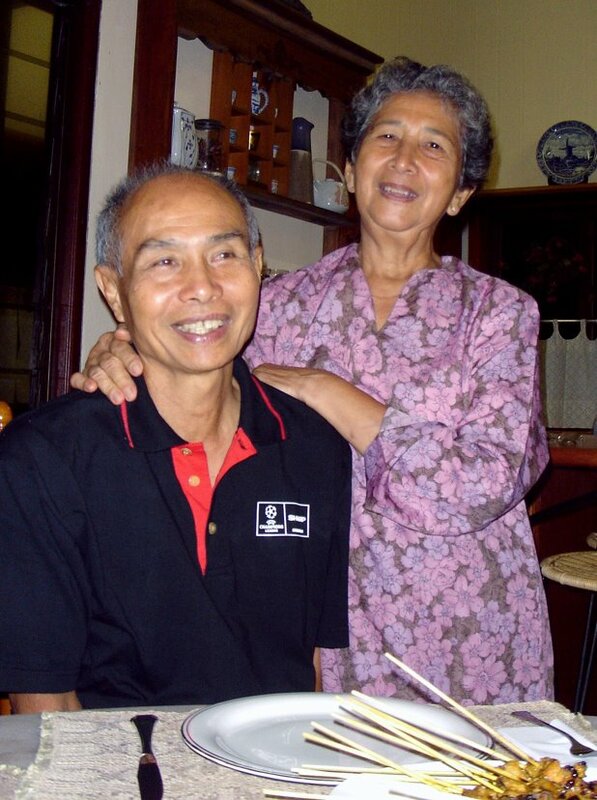 The story of Teluk Iskandar Inn starts with the founders, Kamariah and Ibrahim. 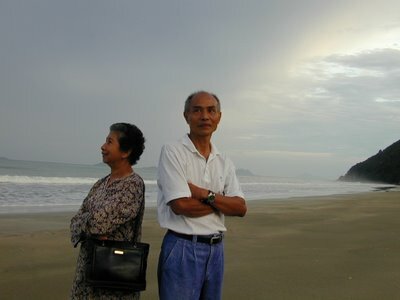 Having traveled and lived in various places around the world, the couple decided to move back to Malaysia. 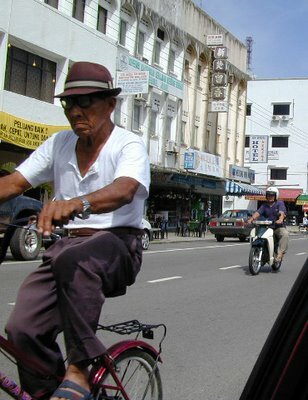 They initially settled in Kuala Lumpur, but the city didn't quite feel the same as it once did, and the couple set off to find a new home. For months, Kamariah and Ibrahim traveled the east coast of Malaysia, looking for the perfect spot, before deciding on the town of Mersing. They purchased a piece of land outside of town, facing the sea. With the assistance of Philippino architect, Ibrahim and Kamariah came up with a novel house that takes into account Kamariah's love for the garden, and Ibrahim's imagination for tropical house design. 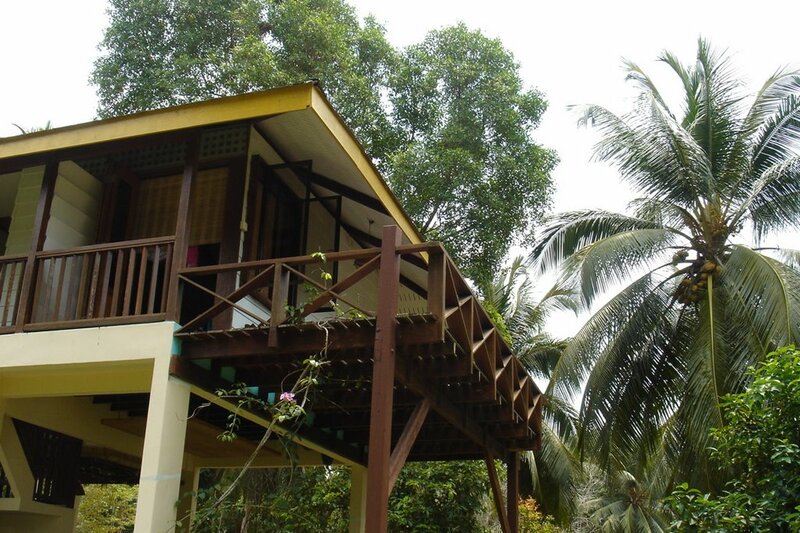 Teluk Iskandar Inn is truly a tropical place that takes in the outdoors, and blends it with indoor living space. Here are the services availale within the small town. There are also services that cater for the tourists. What's a Malaysian local without food? 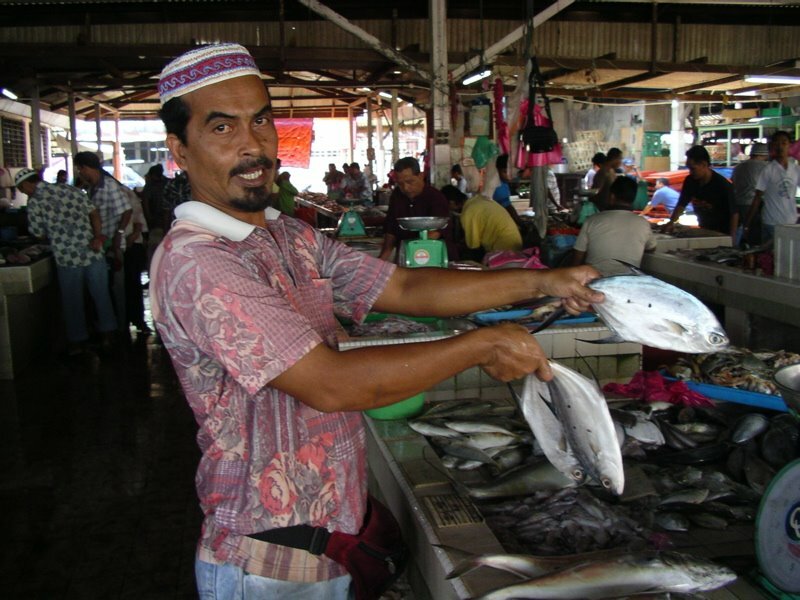 Mersing offers such a good opportunity for food that it deserves a separate mention! Just by staying at the Inn, you get to enjoy freshly delivered milk and yogurt. There are many restaurants we could list here. Here are the dishes we recommend you try. 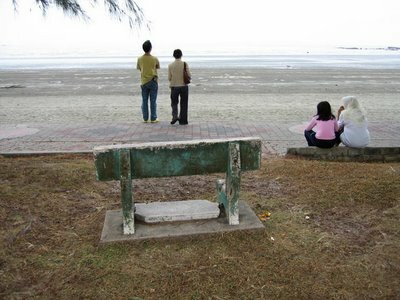 Besides the islands, there are other places worthy of note in Mersing. Open from 9am to 4pm daily. Take bus no.42. They exercise from 6am to 9am daily. Plentiful and delightful descriptions of the Inn here. Mersing is a small fishing town a short drive away from Teluk Iskandar Inn. In Mersing, you will find an assortment of shops and restaurants, banks and the post office. Dining options include Chinese, Thai, Malay, Indian, Cafés, Bistros, and Continental. For more information on Mersing, visit Mersing.com. 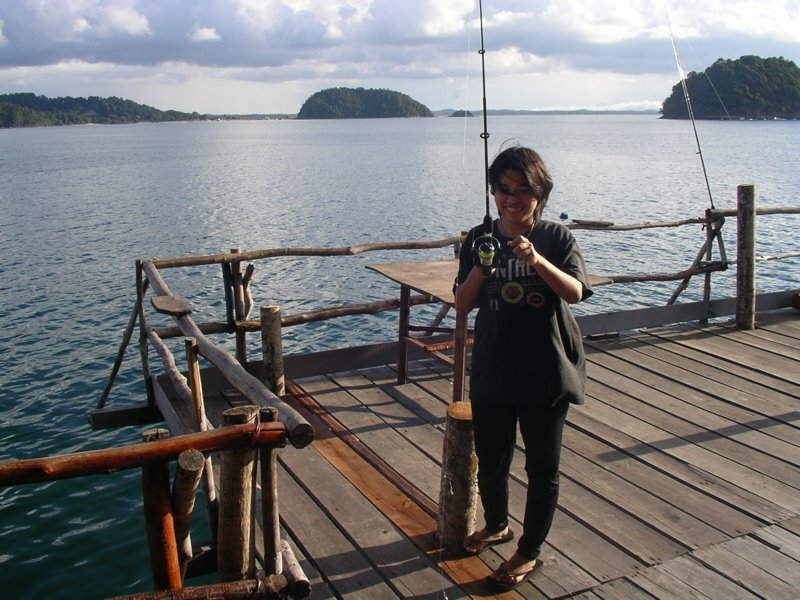 We've listed a couple of special things that you might want to try in Mersing. 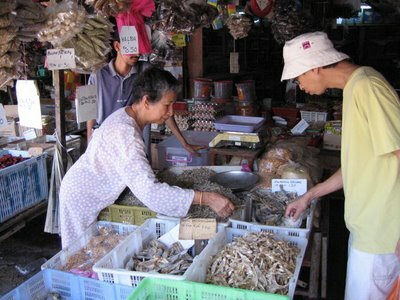 The wet market is a fully operational market that sells an assortment of fresh food. The most exciting part is the fish market, where the catch of the day is freshly sold. Wear sandals because the floor is wet! Cendol (pronounced Chen-Dole) is a type of dessert that consists of white coconut milk, thin pandan-flavoured green-coloured flour noodles, palm sugar (gula melaka), red beans, and shaved ice. Sweet corn could also be added. Cendol is a wonderful complement for a hot summer's day. Hassan owns Al-Hamid Cendol, which is the local coffeehouse that serves the best cendol in town. Years ago, Hassan had started off with a small cendol pushcart, and gradually the number of customers grew. Now he owns a mamak shop that sells an assortment of food and drinks, such as tosai, and teh tarik. 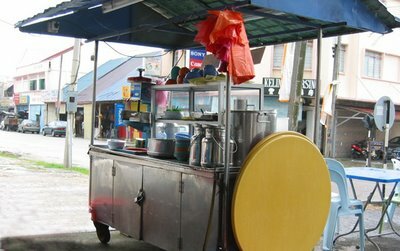 However, his original cendol pushcart still stands in front of his shop, where the cendol is still made. Omar is a well known name and face around town. For those who are looking for a gift, or a nice swimsuit, there is Omar's Gift Shop in town. Teluk Iskandar Inn is located in Teluk Iskandar (Iskandar Cover) and is most accessible by car. 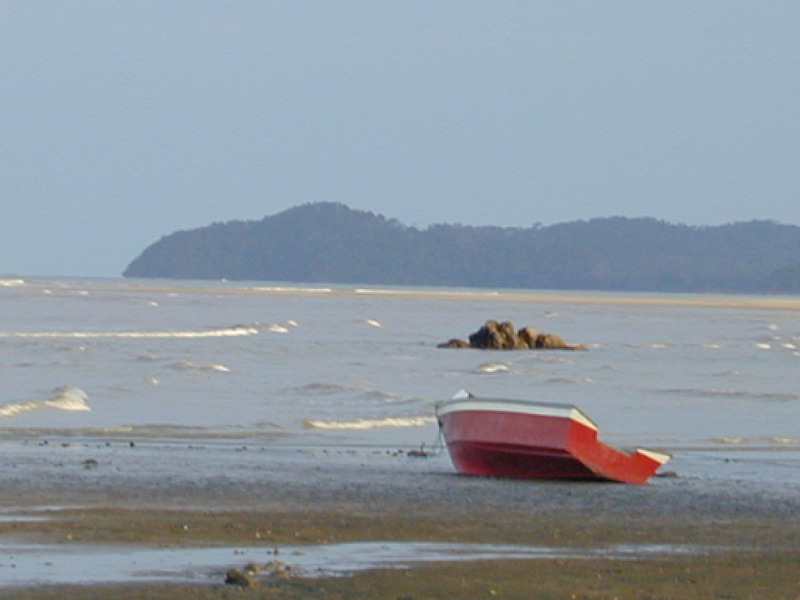 The closest town is Mersing, which is approximately 4km north of Teluk Iskandar Inn. Take Jalan Wong Ah Fook and this will lead you through Johor Bahru City passing City Square shopping mall on your right. Look out for the overhead Bridge with the sign 'Kota Tinggi - Desaru'. Follow this sign leading you to route 3 . Route 3 will take you towards Kota Tinggi and Mersing. Just follow the signs. Take North-South Highway, head south towards Johor (from KL or North). Exit at Ayer Hitam (exit 244). After toll gate take a right turn at the traffic junction and head towards Kluang. Before entering Kluang town, there’s a roundabout, take 3 O’clock. Follow signs to Mersing or Route 3.